GeoThentic, an online teaching and learning environment, focuses on engaging teachers and learners in solving real-world geography problems through use of geospatial technologies. The design of GeoThentic is grounded on the technology, pedagogy, and content knowledge (TPACK) framework as a metacognitive tool. This paper describes how the TPACK framework has informed the authors’ design endeavors and how a set of assessment models within GeoThentic can be used to assess teachers' TPACK. Doering, A., Scharber, C., Miller, C. & Veletsianos, G. (2009). GeoThentic: Designing and Assessing with Technological Pedagogical Content Knowledge. 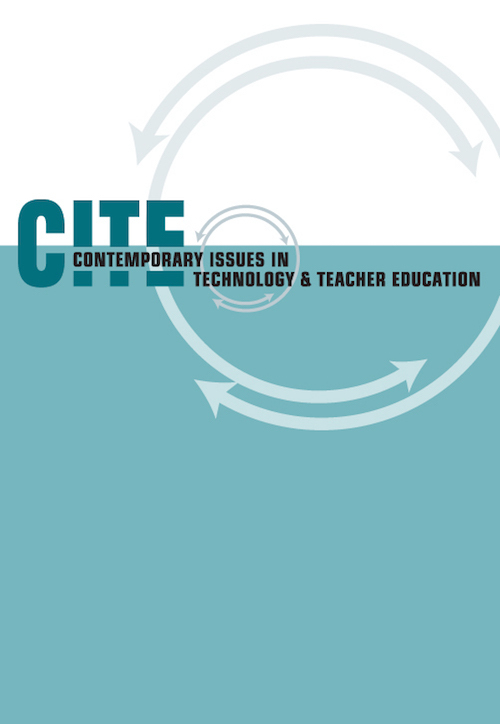 Contemporary Issues in Technology and Teacher Education, 9 (3), 316-336. Waynesville, NC USA: Society for Information Technology & Teacher Education. Retrieved April 23, 2019 from https://www.learntechlib.org/primary/p/29379/. Hughes, J. E., & Scharber, C. (2008). Leveraging the development of English-technology pedagogical content knowledge within the deictic nature of literacy. In AACTE's Committee on Innovation and Technology(Eds. ), Handbook of technological pedagogical content knowledge for educators (pp. 87-106). Mahwah, NJ: Routledge. Reeves, T., Herrington, J., & Oliver, R. (2004). A development research agenda for online collaborative learning. Educational Technology Research and Development, 52(4), 5365.